Fly fishing shows are not our expertise. We’ve been to a grand total of one in the last five years. We needed an expert, and so we called on Matthew Lourdeau, a fly fishing blogger and fly fishing show frequenter. Matthew lives on the east coast, and in this episode on fly fishing shows we interview Matthew to help you make the most of your next show. When was the last time you attended a fly fishing show? How do you making the most of your time at an outdoor show? What do you recommend for newer fly fishers? 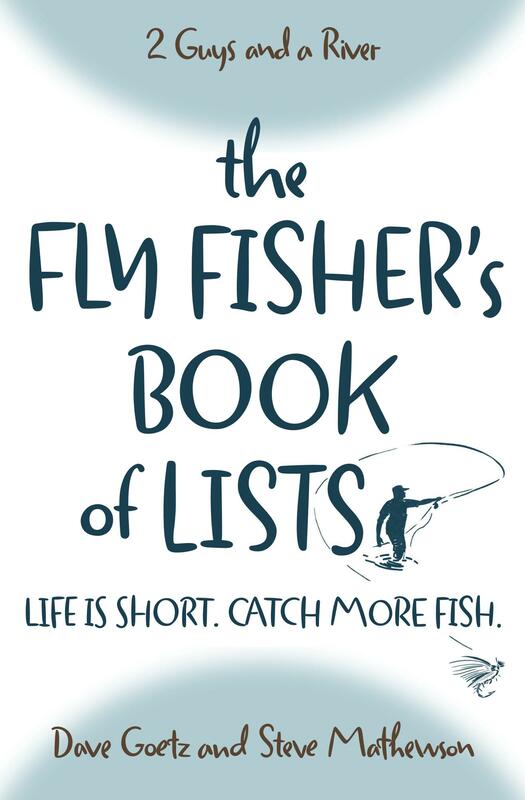 Bought The Fly Fisher’s Book of Lists, whether you refer to it as “bite-size snacks”or a “handful of potato chips” I call it the book of handy TIDBITS. This book is a cliff notes guide for fly fishers. That interview was spot on. I love going to sportsman’s shows and taking advantage of the educational opportunities, potential sales, and conversation with like minded individuals. Good Show and gave me more ideas about things I can do at shows. I’ve been to a few big ones like The Fly Fishing Show and the Virginia Fly Fishing and Wine Tasting Festival and what is discussed on this podcast rings true. Hope you guys get to one this year among all the great things you are doing with family, work and fishing/hunting/podcasting! Keep up the good work! Even from the other side of the world there is no difference re going to the shows. It is a common practice to overlook the things that you get for free like learning that will provide you with more use than buying more tackle. You can often learn more from someone standing in a que near you than someone trying to sell you something. By the way if that was meant to be an Australian accent you better stick to fishing! !